Blockchain technologies like the one that underpins Bitcoin are gaining wide acceptance across industry sectors from finance to healthcare to real estate. Bitcoin itself, however, is still struggling with legitimacy and regulation issues. Just this week, the fact that bitcoin was chosen as the payment method for the latest round of global data ransomware attacks, WanaCrypt0r 2.0 malware, has underscored the negative perception that still swirls around the cryptocurrency. On the most recent episode of Epicenter, co-hosts Brian Fabian Crain and Meher Roy interviewed Peter Van Valkenburgh, Director of Research of Coin Center, a nonprofit research and advocacy center focused on the public policy issues facing decentralized financial networks like Bitcoin and Ethereum. 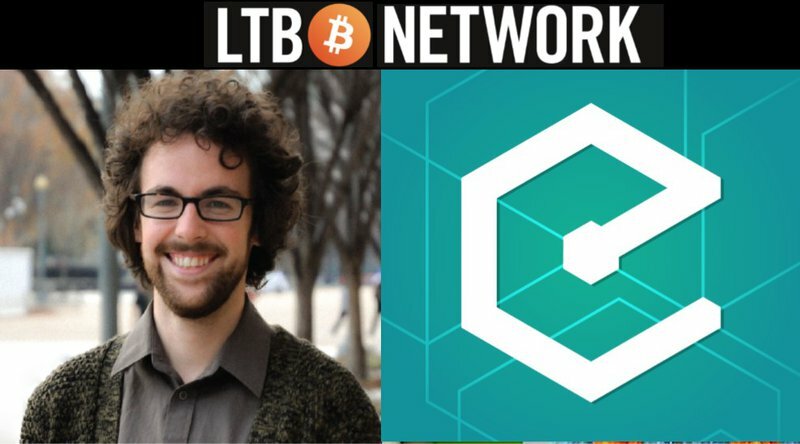 During the interview, Van Valkenburgh explained how Bitcoin is currently dealing with its branding issue; how Coin Center is laying the groundwork for future discussions about Bitcoin regulation; and how more mainstream uses of the technology would be helpful for discussions around regulation. Van Valkenburgh noted how Coin Center has struggled with the issues around Bitcoin as a brand, as many in the mainstream associate the digital currency with the collapse of Mt. Gox and drug sales on darknet markets. “We take a lot of meetings with congressional staff, we take meetings with regulators at [the United States] Treasury, and oftentimes we can’t take credit for those meetings because a congressman doesn’t want it, necessarily, to immediately hit the news that he’s meeting with the Bitcoin people,” said Van Valkenburgh. From Van Valkenburgh’s viewpoint, networks like Bitcoin are used to “decentralize power” and push security to end users’ devices. “That means you lose the choke point for regulation because the choke point for regulation is the bank, the choke point for regulation is the centralized intermediary,” he explained. Van Valkenburgh went on to note that, since control over these networks is pushed to the edges, the technology can potentially be used for illicit activities. One of the illicit activities that regulators and journalists sometimes associate with Bitcoin is terrorism. Although there haven’t been any major terrorist attacks funded through Bitcoin or any other cryptocurrency up to this point, that we know of, Van Valkenburgh pointed out that it’s “possible that one day somebody will use these networks in a meaningful way” to finance that sort of activity. According to Van Valkenburgh, one of Coin Center’s main goals is to prepare for the potential conversation that would take place within government in the aftermath of such an event. For Van Valkenburgh, success for Coin Center in such a scenario would mean the prevention of a push for an instant ban of Bitcoin and other related technologies, along with software developers not getting arrested as part of the process. Coin Center is effectively laying the groundwork to make sure these future conversations remain reasonable. Going back to the aforementioned branding issue, one possible way to improve the outlook on Bitcoin from a regulatory perspective is to create more mainstream use cases for the technology. This point was originally brought up by Crain. “If you have stuff where there is 50 million users and they are like, ‘This thing is great. It really makes something possible that I couldn’t do before. It’s a totally legitimate thing, and this is amazing.’ It would be so much harder if it’s still this kind of fringe thing,” said Crain. Van Valkenburgh added that Coin Center hopes to clear the way, at least from a regulatory perspective, for these sort of mainstream applications to appear. “The longer we go without more mainstream, legitimate uses, the more danger we’re in,” he added. As far as mainstream uses of Bitcoin today, Van Valkenburgh pointed to the financial autonomy enabled by the technology, and he identified WikiLeaks’s use of Bitcoin to get around a financial blockade back in 2011 as a specific example. However, Van Valkenburgh also added that this example has become more politically charged since allegations of WikiLeaks working directly with Russia have appeared.